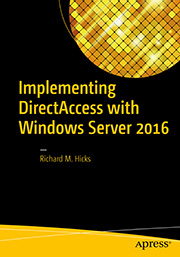 DirectAccess | Richard M. Hicks Consulting, Inc. 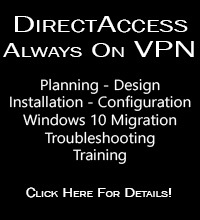 Unlike DirectAccess, Always On VPN connections are provisioned to the user, not the machine. 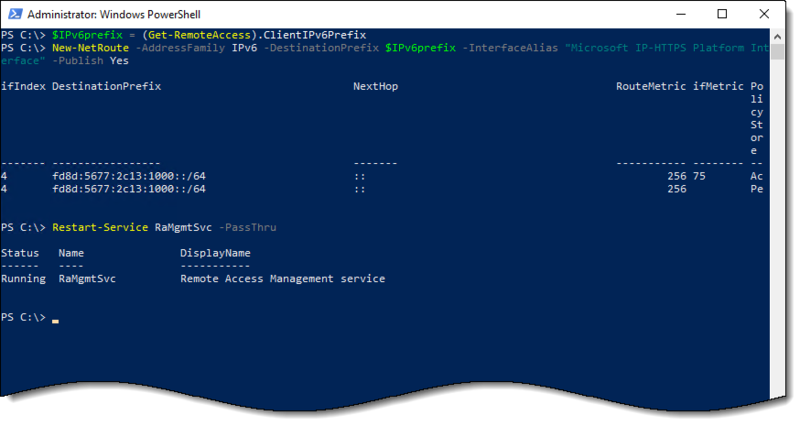 Beginning with Windows 10 release 1709 Microsoft introduced the device tunnel option to provide feature parity with DirectAccess. 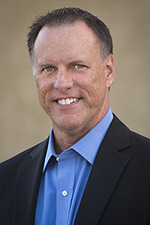 The device tunnel provides pre-logon network connectivity to support important deployment scenarios such as logging on without cached credentials and unattended remote systems management. Guidance for creating and deploying a device tunnel connection can be found here. It’s important to note that the device tunnel is always on by default. Also, there can only be a single device tunnel configured per device. You must remove an existing device tunnel before configuring a new one. 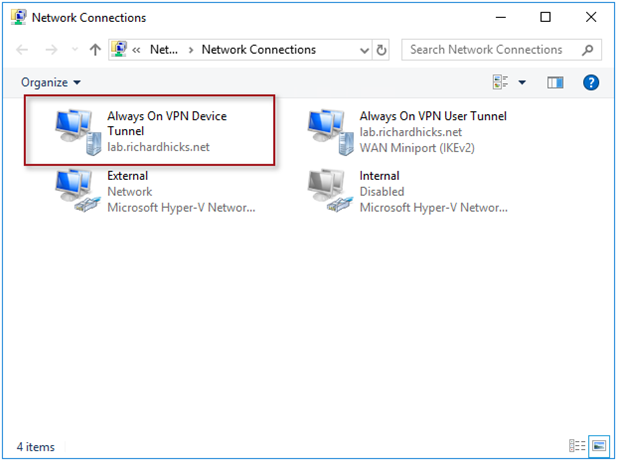 After configuring a Windows 10 Always On VPN device tunnel the administrator may notice two anomalies. First, the device tunnel is missing in the Windows UI after it is created. 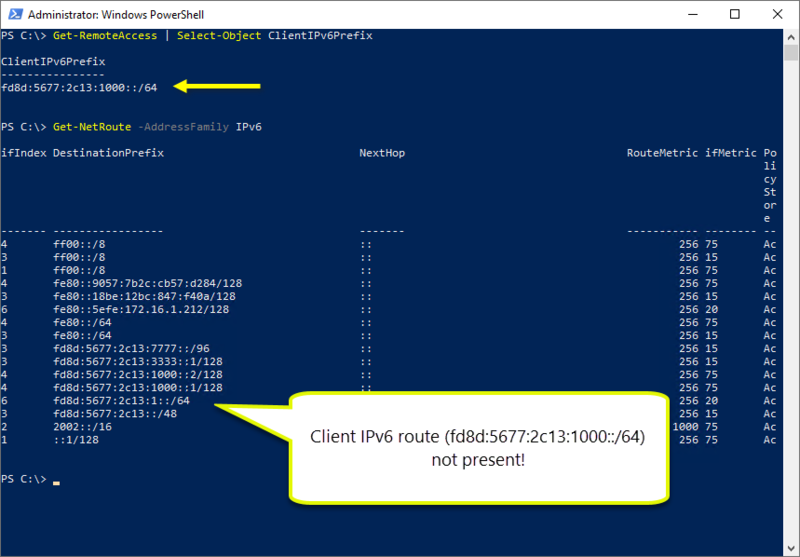 Second, viewing the status of the device tunnel connection using PowerShell indicates the connection is “disconnected” even though it is connected. 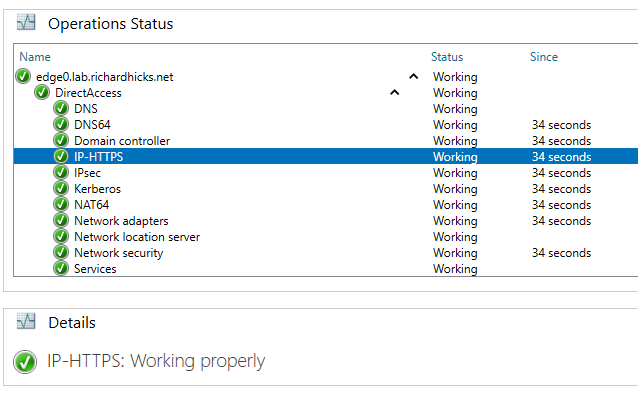 As you can see below, event though both a device and user tunnel have been provisioned, the Windows UI reports only a single Always On VPN connection, that being the user connection. However, the device tunnel does appear in the Network Connections control panel applet (ncpa.cpl), as shown here. This is expected and by design. The device tunnel is not displayed to the user in the Windows UI as it is provisioned to the machine, not the user. It appears on the Control Panel because the applet is capable of enumerating both user and system connections. 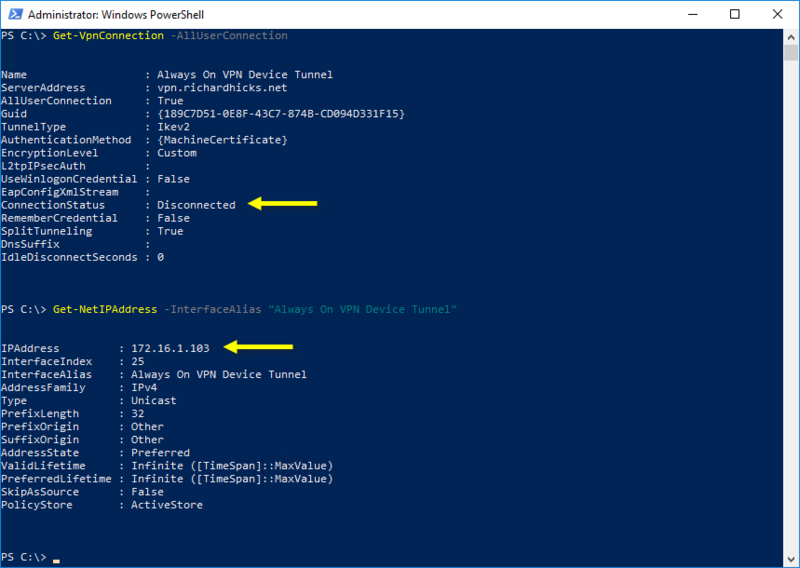 The status of the Windows 10 Always On VPN device tunnel connection can be viewed by running the Get-VpnConnection -AllUserConnection PowerShell command. 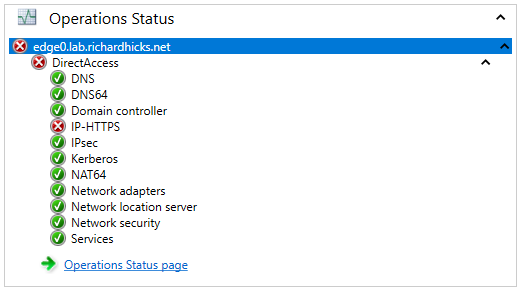 However, at the time of this writing, PowerShell always reports the connection status as “Disconnected”. This appears to be a bug; one which Microsoft is hopefully working to address. 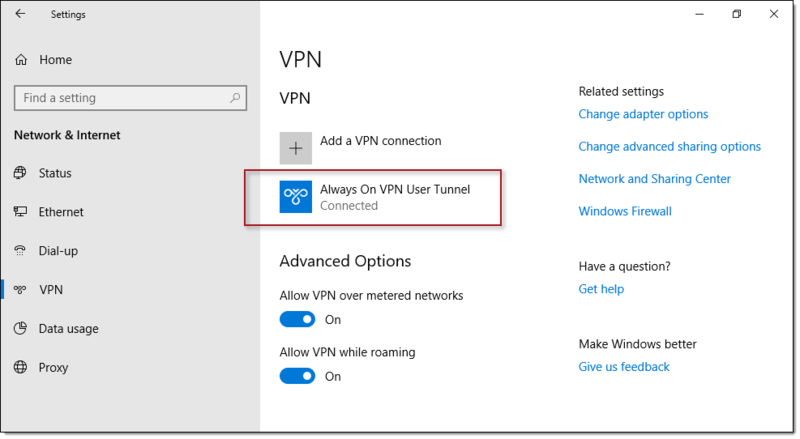 The Windows 10 Always On VPN device tunnel option allows administrators to enable scenarios previously supported with DirectAccess, including logging on without cached credentials and unattended remote support. Not all deployments require a device tunnel, but it is an important option available to administrators to address specific use cases. CORRECTION: This webinar will take place 14:00 BST on Thursday, 25 October. To learn more about NetMotion Mobility, join me on Thursday, 25 October at 14:00 BST for a free live webinar with NetMotion. I’ll provide an overview of NetMotion Mobility and how it compares with DirectAccess. I’ll also demonstrate how it can help overcome some of the inherent limitations of DirectAccess too. Register today!